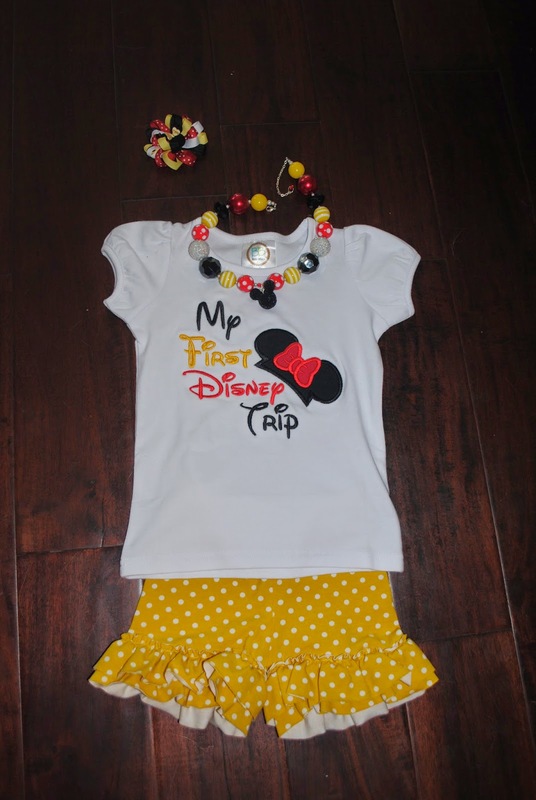 We are flying to Disney and I have the cutest outfit picked out for Sally to wear. I had seen some really cute shirts on Etsy but fell in love with this one from Makin Memories Fun. I had her tweak the colors a bit and I love the way it turned out! She was so nice work with and the shirt is really well made! 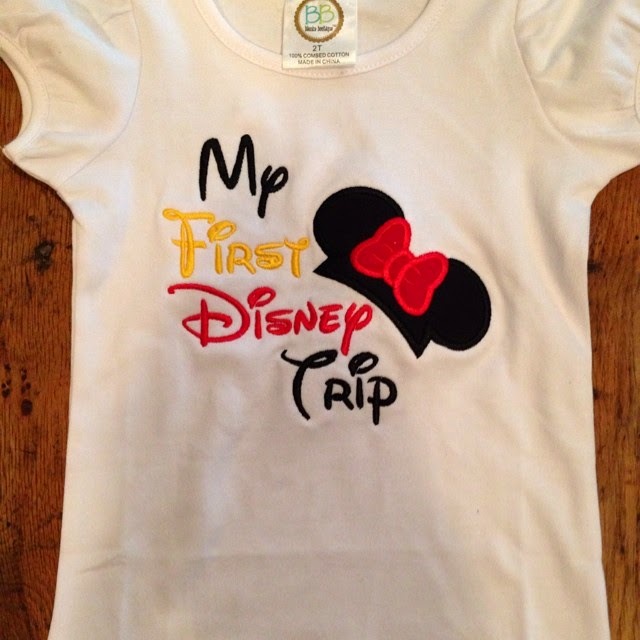 It's a MUST for your little ones going to Disney for the first time!! 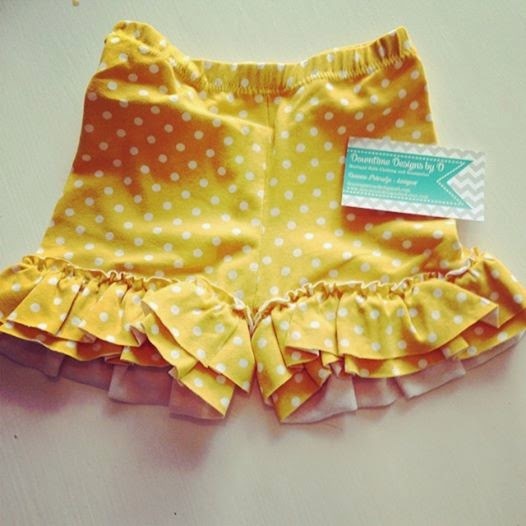 I also had to have these yellow and white polka dot shorties from Downtown Designs By D. They match the shirt perfectly and are really well made. The seller was super nice and the shipping was fast...can't say enough good things! 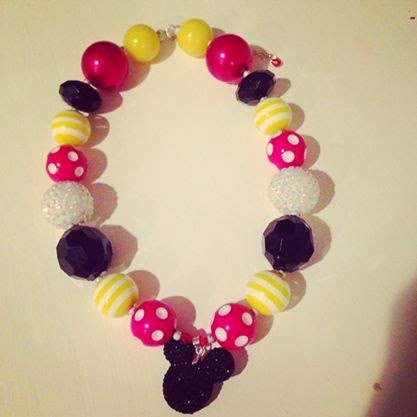 This necklace from RazzBerryBeads was the finishing touch to my perfect Minnie Mouse themed travel outfit. The colors work perfectly for this outfit and Sally is going to think she is hot stuff wearing it. The seller was so nice and offered several options to customize the necklace...fast shipping too! I can't wait to share pictures of Sally wearing all of this on the plane tomorrow. She is going to be precious!